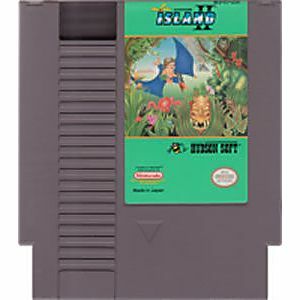 Adventure Island II 2 original NES Nintendo Game cartridge only - Cleaned Tested and Guaranteed to Work! you guys are my favourite for buying classic titles. Thanks guys!! This is as great as the first game,but you get to ride a dinosaur..........UHHH.......awesome!! 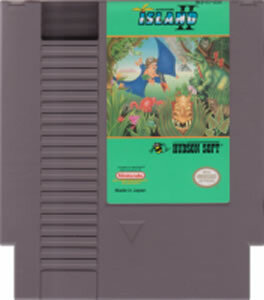 This is the second in the Adventure Island series. I ordered this from Lukie and was not disappointed. You can ride dinausars on land and in water and you can save items to use later. 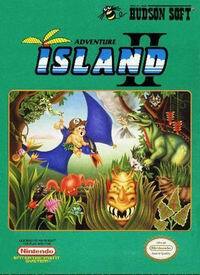 It also has a bonus game at the end of each level. It is really fun. I love it and highly recconmend it!